Established in 1996 with a grant from the Lula Dicke Trust, the New Bremen Foundation supports its local community by connecting people who care with causes that matter. The New Bremen Foundation exists to make charitable giving more efficient by investing in a permanent endowment to better the New Bremen community and enhance the quality of life of its citizens. NBF is a tax-exempt, nonprofit organization under Code Section 501 C (3). In 2018, NBF distributed $22,821.55 in grants from our Community Impact Fund to fifteen different organizations. Area charities and community improvement projects receive 100% of donated dollars. Enhance the New Bremen community in areas of education, health, faith, history, culture, and quality of life by establishing permanent endowments through planned giving and leadership. New Bremen is an engaged, self-sustaining community of choice. Beyond his work with the foundation, Brad is the Assistant Treasurer of Crown Equipment Corporation. He has been with Crown for 30 years after having spent two years in public accounting. Brad has a B.S. in Accounting and Business Administration from Manchester University and an M.B.A. from Ashland University. He is also a licensed CPA Inactive in the state of Ohio. Joining the Foundation in November 2014, Anna is a New Bremen native and graduate of New Bremen High School. She received a Bachelor of Arts degree in International Development from the Ohio State University. Anna has a strong passion for community service and philanthropy and enjoys connecting people with causes that are important to them. 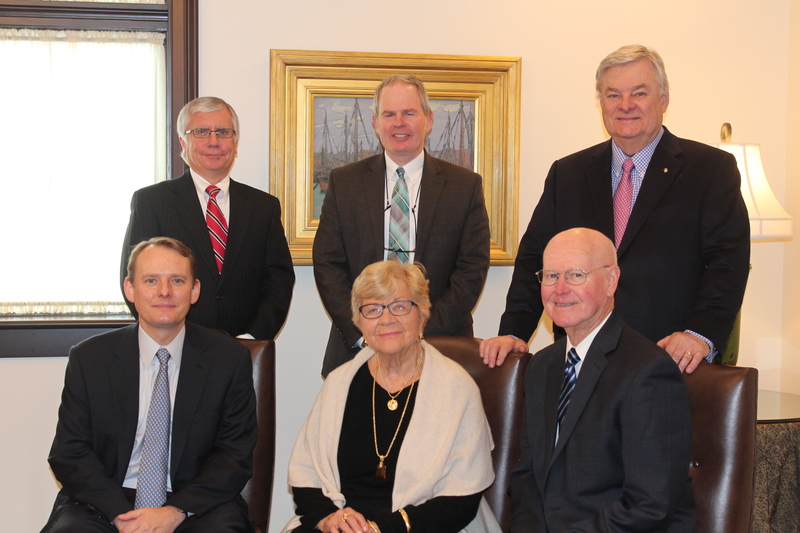 The NBF Board of Trustees is comprised of well-respected residents of New Bremen who demonstrate a high level of commitment and philanthropic leadership to the community. Board members are unpaid volunteers.